You’ll have a default set of instant radio messages available. 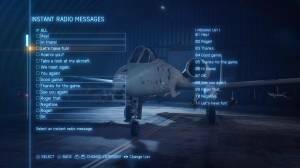 However, if you want to modify the list of available radio messages, you can access it by going to Multiplayer > Hangar > Instant Radio Messages. You can set up to 12 instant radio messages and even replace the default ones. You can’t however, make your custom instant message. To send an instant radio message during the battle, press the right DPAD once to reveal the selection of your pre-set messages, scroll through them by pressing up or down, then press the right DPAD again to send the message. 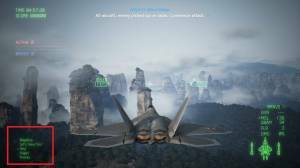 Unfortunately, this feature can be pretty distracting and you won’t have the chance to do this while engaged in an intense dogfight. Try to do this only at the start of the battle or as soon as the battle ends. 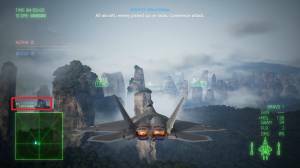 In team matches, when someone sends a preset message, they or a target are highlighted in the enemy detection radar for their teammates to see. Comments for How do you send messages to other players?